This is definitely a great time for Linux users all over the world. After Canonical showed off their latest Ubuntu distribution, it’s time for Mandriva to take the spotlight. Yes, Mandriva 2009.1, also known as Spring, was released after two Alphas, one Beta and two release candidates. There are a lot of exciting new features that will please all of Mandriva’s fans and surely make others take a second look at what this distribution has to offer. Mandriva 2009.1 can be downloaded for free either as a CD, DVD (i586 and x86_64) or a Dual CD. “The Mandriva Linux 2009 Spring range is now available in the office format which corresponds to your choice, KDE, GNOME or LXDE and all this in more than 70 languages. Mandriva Linux 2009 Spring not only offers you the most advanced and easy to use Linux operating system on the market but also integrates a list of some of the most complete software.” was stated in the official release announcement. 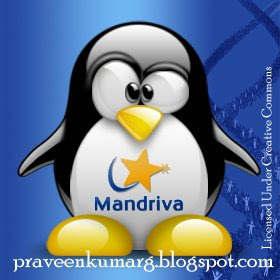 So What is Mandriva Linux? Mandriva Linux (formerly Mandrakelinux or Mandrake Linux) is an operating system created by Mandriva (formerly Mandrakesoft). It uses the RPM Package Manager. The product lifetime of Mandriva Linux releases is 18 months for base updates (kernel, drivers etc.) and 12 months for desktop updates (window managers, desktop environments, web browsers etc) . Server products receive full updates for at least 24 months after their release. Drakxnet – the new powerful interactive firewall.